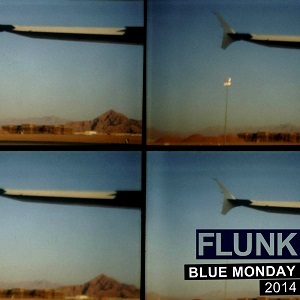 The Blue Monday 2014 EP must be described as a happy coincident. Last autumn, Ulf Nygaard, the Flunk mainman, got two separate requests from two german lables regarding a remix of the Flunk version of Blue Monday. Initially, the labeles wanted to release the remixes. And we thought, why not? So there you go, two remixes released on two german labeles, and collected together on a EP on Beatservice! Marcapasos & Janosh has done a remix for the Klang Gymnastik label from Freiburg, Germany. This is a quite club-oriented version with thumping bass and heavy beats. Gernot Lange does a slightly moodier approach for his remix for Colortape from Freiburg. And, as a special treat, Ulf and the Flunk crew has done a slight update of the original. Hentet fra konserten på Palác Akropolis i Praha 6. desember 2013. Live-opptak av Radio 1 Prague. Tracks taken from the concert at Palác Akropolis in Prague 6. December 2013. Recorded by Radio 1 Prague. Cover photo by Michal Hradecký.